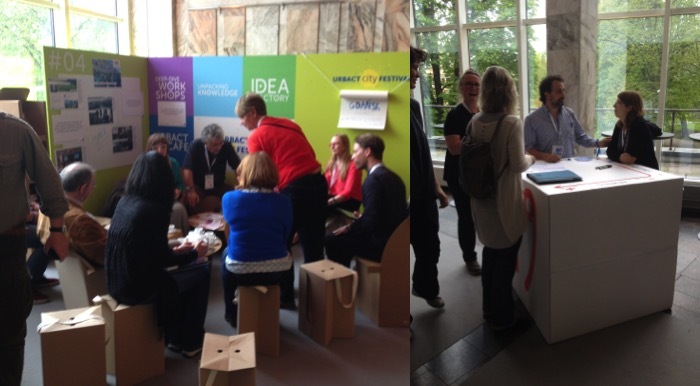 What will you bring home from the URBACT City Festival in Riga? was the question asked by the moderator Sally Kneeshaw at the final panel of participants representing various levels of local, national and EU governance. Typical question where you expect non less typical answers such as “I was so inspired by…” or “I could harvest so many interesting ideas…” and the future of my city will be changed as soon as I will be back home. And some of the answers were in that mood but what was rather new and unusual was that panelists and many participants underlined the original, creative, unconventional atmosphere that the URBACT City Festival manage to create. A non-conference with 500 attendants? Surely something like that… ‘Deep-dive workshops’; ‘Networking coffees’ every morning; ‘Meet the cities’ corners and long subgroups sessions to ‘Unpack the knowledge’; ‘walk-shops’ across the city of Riga. 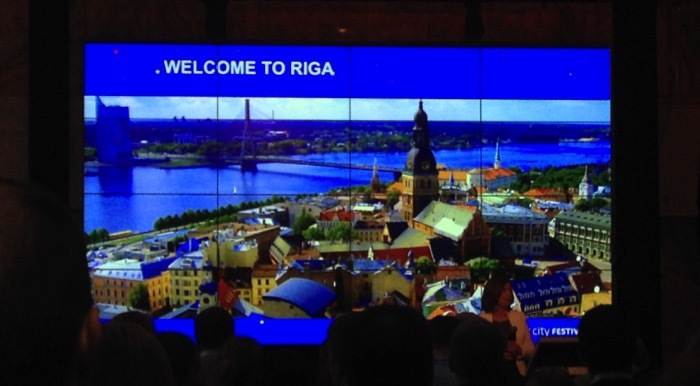 Even Nils Usakovs, the Mayor of Riga welcomed participants the first day in less than 3 minutes. At least URBACT organizers managed to kill the powerpoint and the keynote (almost if you except the ‘Masterclasses’). What I will bring home is surely the atmosphere, a ‘transformative atmosphere’. Not as transformative as so-called ‘transformative festivals’ as Burning Man or Bloom of course. The public of URBACT is very diverse (from rather classical administratives first time out of their municipalities to already accustomed ‘free range civil servants’) and therefore very difficult to satisfy at ones. 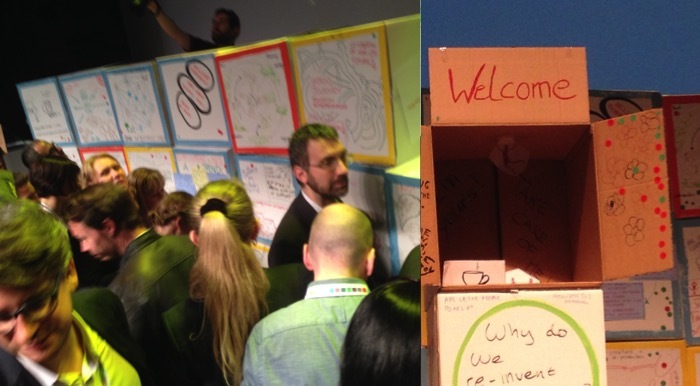 But transformative at least to bring participants out of their average ‘confort zone’ carrying larges cardboard-boxes-tables-flipchart from IdeaFactory or building a ‘living exhibition’ with our ‘Making the most of Social Innovation: how can our cities change?’ workshop. 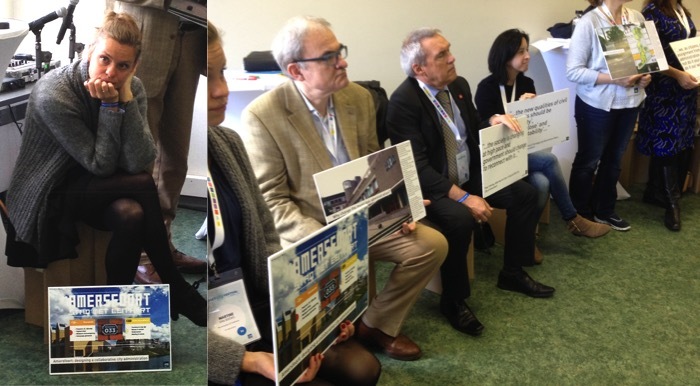 Thank you to the URBACT team for contributing to redesign conferences format and give trust to public bodies to challenge conventions and take risks! Previous caseTHINKTANK RAID _ LA COMMUNICATION ENTRE HABITANTS ET ADMINISTRATION: (RE)DESIGN D'UN SERVICE PUBLIC Next caseStakeholders process 'in piazza'?